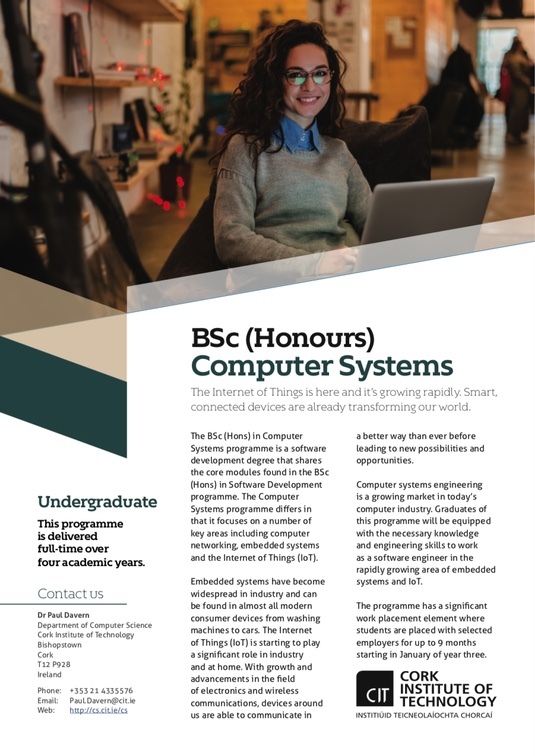 All students take the same Computer Science modules in first year. 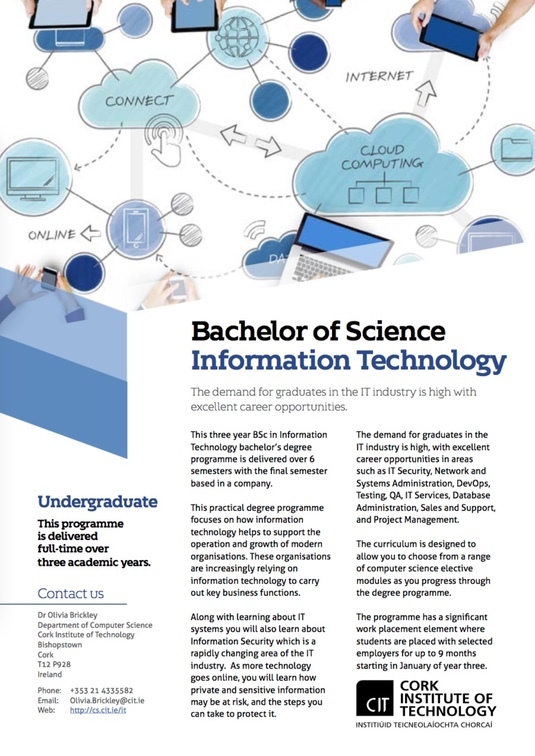 Undergraduate programmes at a glance. Choosing the right programme is difficult but we can help. 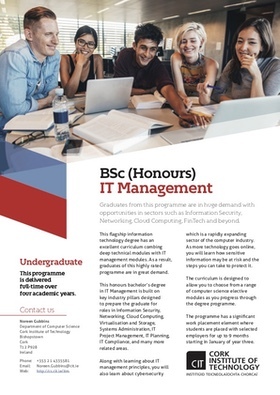 In the Department of Computer Science we operate a common first year curriculum across all programmes where all students take the same modules. This allows CAO applicants to select a programme for year one, attend that programme and continue to year two as normal, or to transfer to another programme at the end of first year. 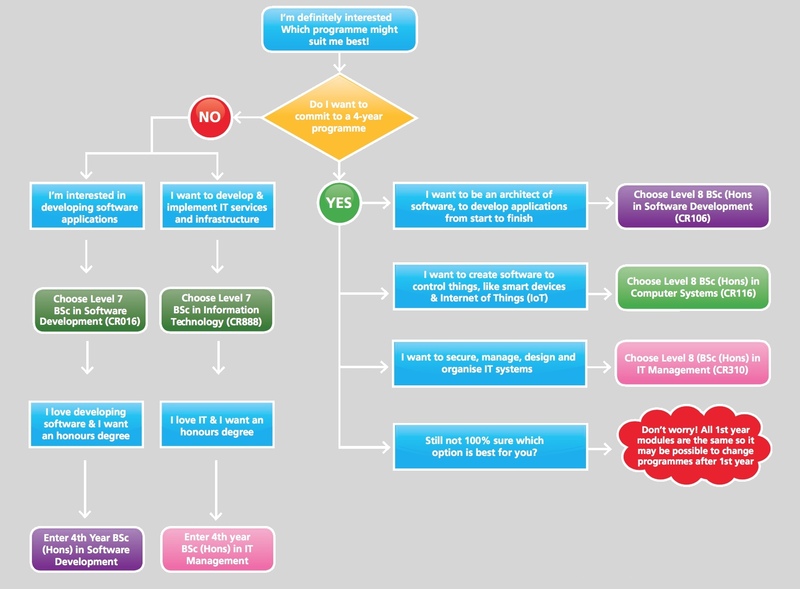 The flowchart below should help you make the right decision when applying for a programme in the Department of Computer Science. Click on the image to enlarge. All applicants must complete this application form by April 30th 2019. 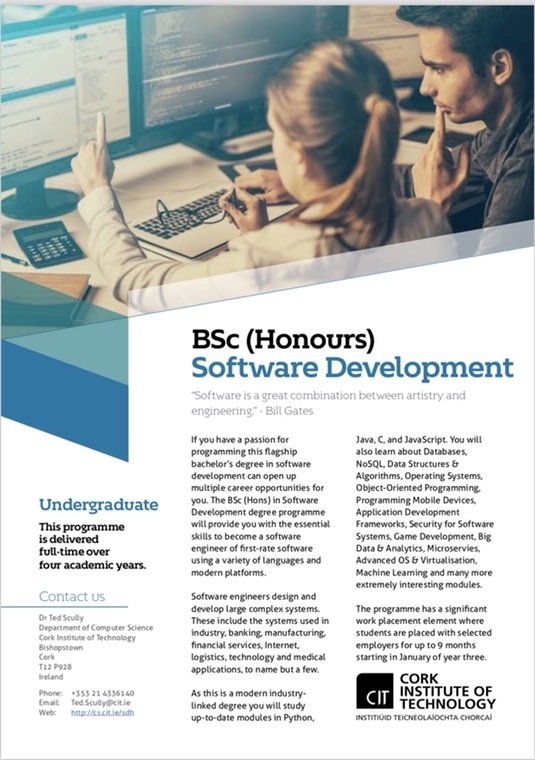 Applicants who successfuly complete all first year modules by June 2019 and hold the required CAO 2018 points for the target programme will be offered a place in the target programme. Applicants in this category will be notified in July 2019. Once processed by the Admissions Office, successful applicants will be transferred to their target programme in time for the start of year two. Applicants who do not hold the required CAO 2018 points may be offered a transfer in July 2019 if they have performed exceptionally well in their year one examinations. This option is subject to available places in the target programme. Once processed by the Admissions Office, successful applicants will be transferred to their target programme in time for the start of year two. Please note that transfers will only be offered to applicants who meet the transfer criteria listed above. Applicants who meet the criteria but do not pass all modules during Semester 1 and Semester 2 and have to repeat in Autumn 2019 will be placed on a reserve list. Those on the reserve list are not guaranteed a transfer as we may not have available places in a particular class in September 2019. Priority will be given to applicants who hold the required CAO 2018 points. We will do our very best to accommodate all eligible applicants so please make sure that you provide us with a number of preferences when completing the application form. 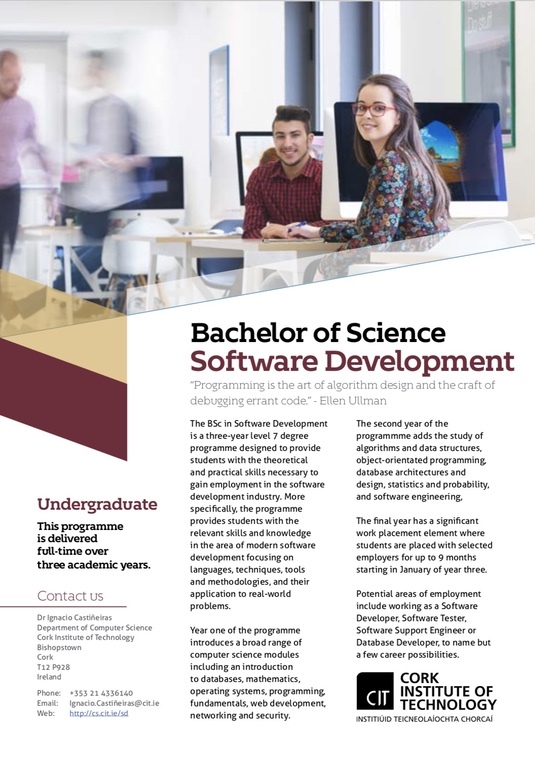 If you joined the BSc (Hons) in Software Development programme in September and at the end of year one you decide that software development is not for you, then you can transfer to the BSc (Hons) in IT Management or one of the other programmes. Doing the opposite is also possible but you must either have the required CAO points for the target programme or have performed exceptionally well in year one. If you need a quick overview of each programme please click on one of the images below to download a pdf flyer for each programme. The flyers offer a brief introduction to each programme and include full programme schedules. The schedules have hyperlinks to every module descriptor allowing you to get to all the information that you need.